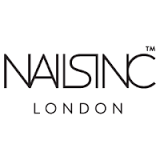 Do you aspire to have a career in the world of Nails and Beauty ? This expanding is in need of good therapists. In this course you have the opportunity to achieve a wide variety of training skills dealing with specialist nail technician, skin, eye-brow and eye-lash treatments. Release your artistry flair and produce superb looks that will allow you to become an attractive prospect for employers as well as having the opportunity to become self-employed. Customer Service 5N0972 – Apply the personal skills, qualities and attitudes required to perform effectively when dealing with customers. Handle a range of challenging situations, demonstrate team or group work in providing customer care. Look at practical examples of organisations with good customer care and their success. Digital Marketing 5N1364 – Choose appropriate e-tools to implement a digital marketing strategy. Plan a digital marketing campaign from inception to completion. Evaluate the effectiveness of campaigns using analytical e-tools. Outline the stages of analysis, development, implementation and control of digital marketing campaigns. Use e-tools including web analytics, social media monitoring, social bookmarking to monitor digital marketing campaigns. Work Experience 5N1356 – Planning, preparation and reflection on work placement. Job finding strategies, CV and personal statement preparation, interview skills. Practise employability skills with a view to future planning. Leaving Certificate, LCA or QQI Level 4. Mature applicants are exempt from Leaving Certificate requirement. All applicants will need to demonstrate an interest in Nails at interview and must bring with them a portfolio of some nail work completed by them as evidence of their interest. This should include at least 5 photographs of nails painted by the interviewee. All applicants are interviewed. An offer of a place on this course is on contingent on the applicant meeting the course requirements set out here and satisfactory presentation at interview. See Progressions for full progression details. Nail Technician in a Beauty Salon, Nail Bar, Nail Technician on Cruise ships e.g. Steiner, Self-employed /Mobile Nail Technician, (I.T.E.C is an International Qualification for work abroad) Product trainer, Sales Representative, Retail Industry. All students can access the Jobs Advice Hub. Graduates can subscribe to ‘CCOC college jobs register’ and CCOC LinkedIn alumni for up to date vacancies and networking. Or send us your phone number (with an optional message), and we will ring you. €921.50 – this cost includes ITEC and QQI examination fees. (Medical card holders exempt from €220). Approx €900 for kits, uniforms etc. which will be paid directly to suppliers on registration day. See Payment for details. I’m so thrilled I decided to go to CCOC, it really has changed my life I’ve met life long friends. 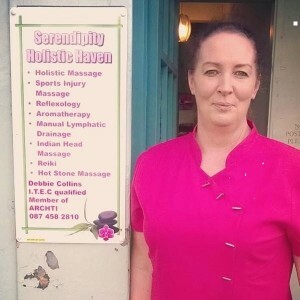 In November 2015 I opened up my own holistic room in the main street of Midleton called Serendipity Holistic Haven and I’m loving this new exciting adventure that hopefully will continue to go on for years to come. If you’re reading this unsure of what to do, go for it, make the right decision, you won’t be sorry and will truly enjoy the experience. 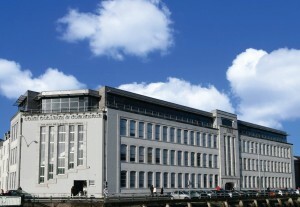 I completed The Nail technician course in The College of Commerce and I am now Manager of Nails Inc. in Brown Thomas on Patrick Street. I found the course extremely helpful and it gave me a great foundation in the Industry. I still have a very good relationship with the Collage and I guest speak to the students on an annual basis in regard to working in the Industry and any help or advice I can give them. As part of my work experience I was the make up artist for two short films being made by another college. This was a wonderful opportunity for me to learn about the production of films and what its like to be on set as a make up artist. Since the course I am working as a freelance artist doing weddings, photo shoots and theatre work. I would highly recommend this course to anyone thinking of becoming a make up artist.